George Jacob Gershwin (Born September 26, 1898 – July 11, 1937) was an American composer and pianist. Gershwin's compositions spanned both popular and classical genres, and his most popular melodies are widely known. Among his best-known works are the orchestral compositions Rhapsody in Blue (1924) and An American in Paris (1928), as well as the contemporary opera Porgy and Bess (1935). 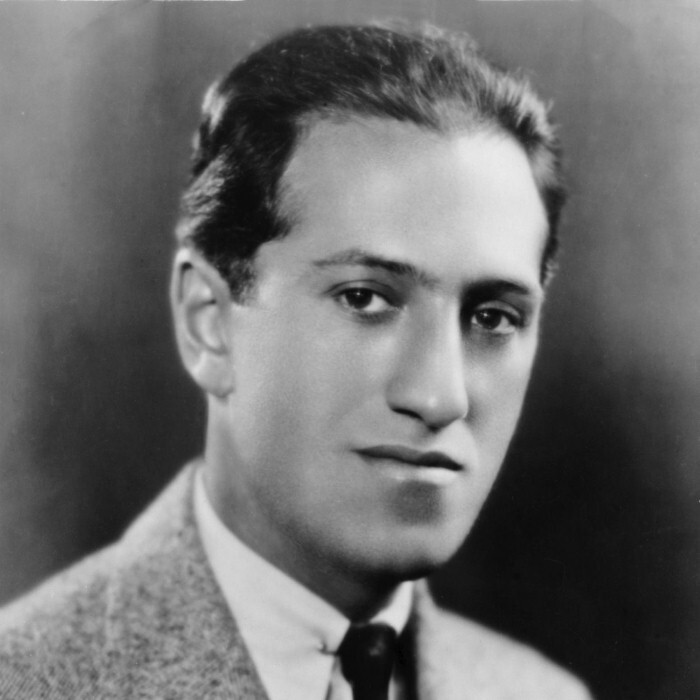 Gershwin was of Russian Jewish and Ukrainian Jewish ancestry. His grandfather, Jakov Gershowitz, had served for 25 years as a mechanic for the Imperial Russian Army to earn the right of free travel and residence as a Jew; finally retiring near Saint Petersburg. His teenage son, Moishe Gershowitz, worked as a leather cutter for women's shoes. Moishe Gershowitz met and fell in love with Roza Bruskina, the teenage daughter of a furrier in Vilnius. She and her family moved to New York due to increasing anti-Jewish sentiment in Russia, changing her first name to Rose. Moishe, faced with compulsory military service if he remained in Russia, moved to America as soon as he could afford to. Once in New York, he changed his first name to Morris. Gershowitz lived with a maternal uncle in Brooklyn, working as a foreman in a women's shoe factory. He married Rose on July 21, 1895, and Gershowitz soon Americanized his name to Gershwine. Their first child, Ira Gershwin, was born on December 6, 1896, after which the family moved into a second-floor apartment on Brooklyn's Snediker Avenue. George lived a usual childhood existence for children of New York tenements: running around with his boyhood friends, roller skating and misbehaving in the streets. Remarkably, until 1908, he cared nothing for music, when as a ten year old he was intrigued by on hearing his friend Maxie Rosenzweig's, violin recital. The sound, and the way his friend played, captured him. At around the same time, George's parents had bought a piano, for lessons, for his older brother Ira, but to his parents' surprise, and Ira's relief, it was George who spent more time playing it. With a degree of frustration, George tried various piano teachers for some two years, before finally being introduced to Charles Hambitzer by Jack Miller, the pianist in the Beethoven Symphony Orchestra. Until his death in 1918, Hambitzer remained Gershwin's musical mentor and taught him conventional piano technique, introduced him to music of the European classical tradition, and encouraged him to attend orchestral concerts. Following such concerts, young Gershwin would essentially try to play, on the piano at home, the music he had heard from recall, and without sheet music. As a matter of course, Gershwin later studied with the classical composer Rubin Goldmark and avant-garde composer-theorist Henry Cowell, thus formalizing his classical music training.